The Red Effect. The Cold War heats up. Part 2. 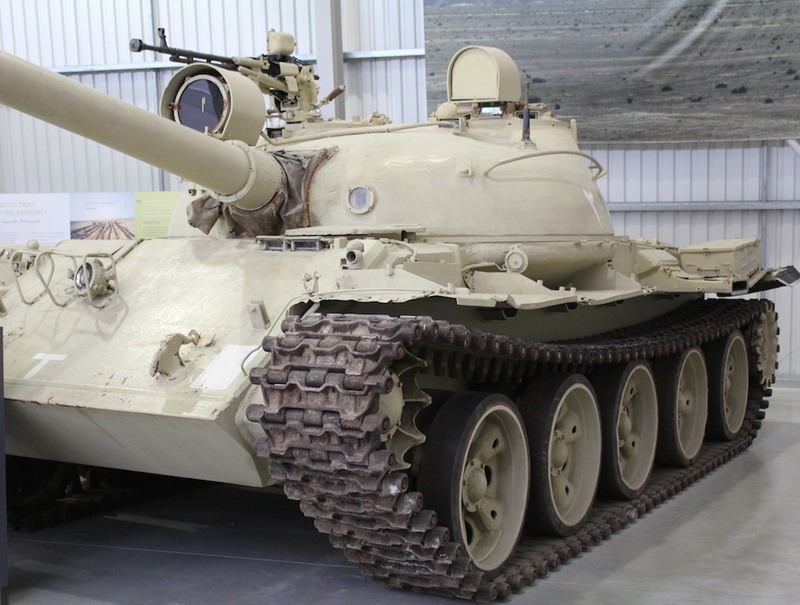 The Chinese Type 59, main battle tank. Top speed of 30mph. 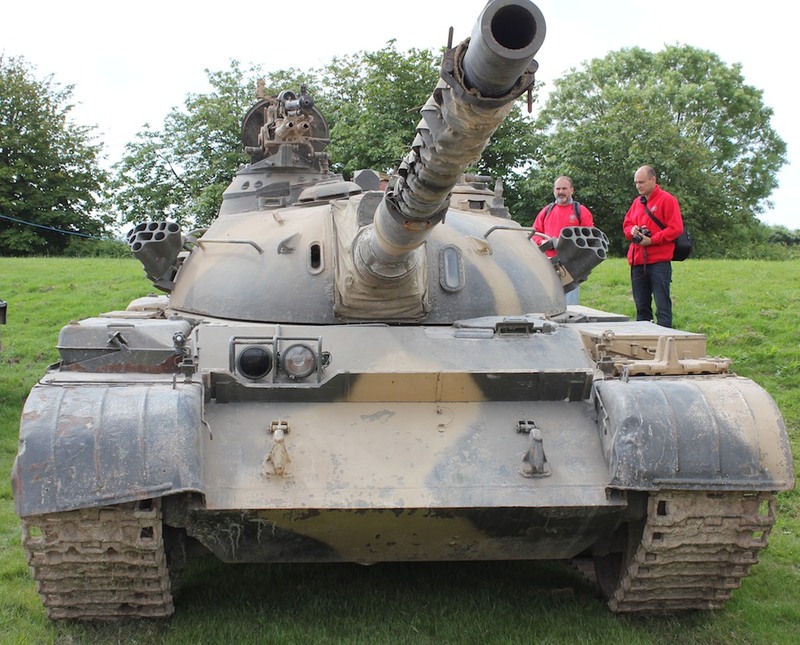 It is essentially a copy of the Soviet T-54 tank. Powered by a V-12 liquid cooled diesel engine. A rugged simple design, ideal for mass production. 36 tons on torsion bar suspension. A 100mm, rifled main gun. Over 9,000 were built. . 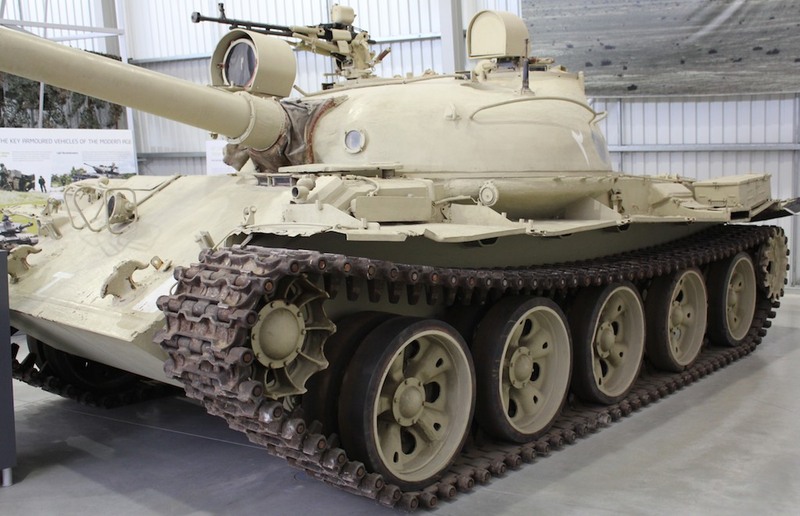 Although the tank was fairly dated in the 80’s, the Soviet army still possessed 35,000 T-54/55 and T-62s. 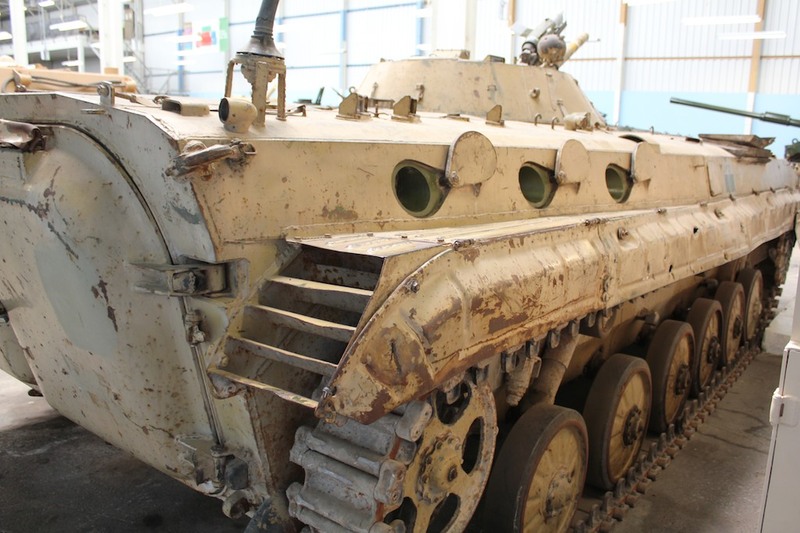 This one was captured from the Iraqi forces during the Gulf War in 1991. Top speed of fifty miles an hour. 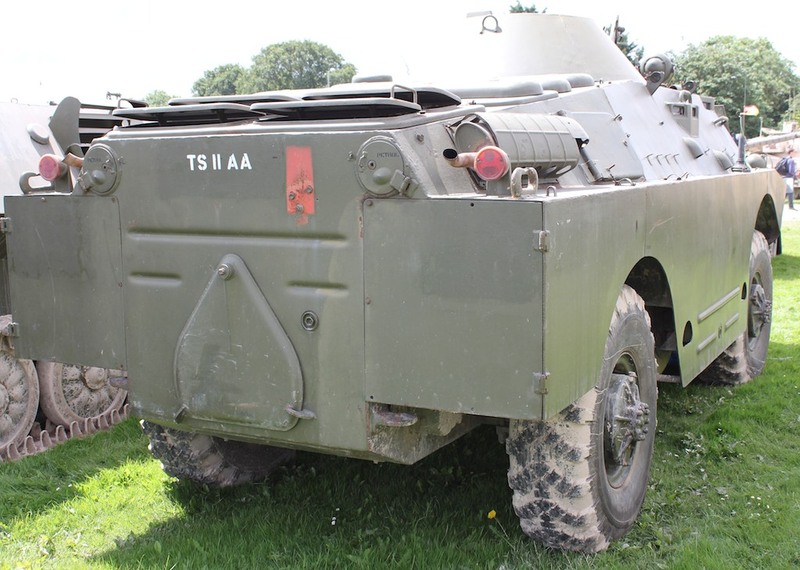 It had a thirsty diesel engine, covering 2 miles to the gallon. 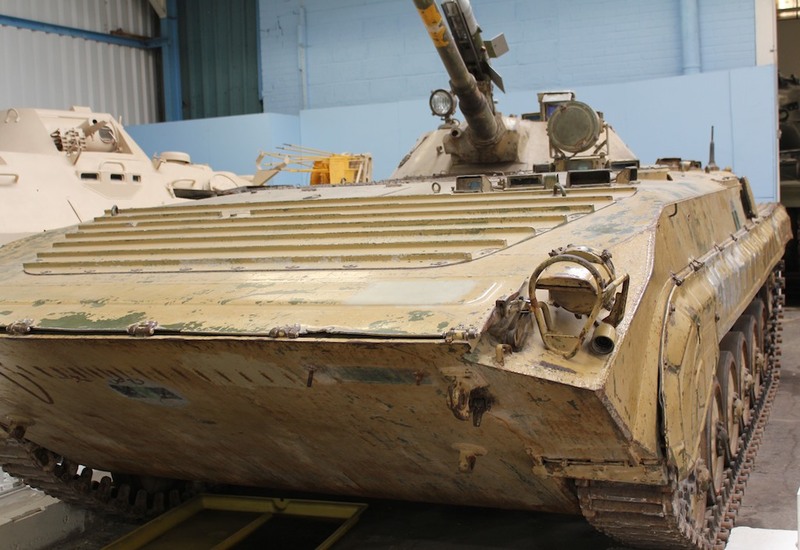 The BMP-1, another captured vehicle from the Iraq war. 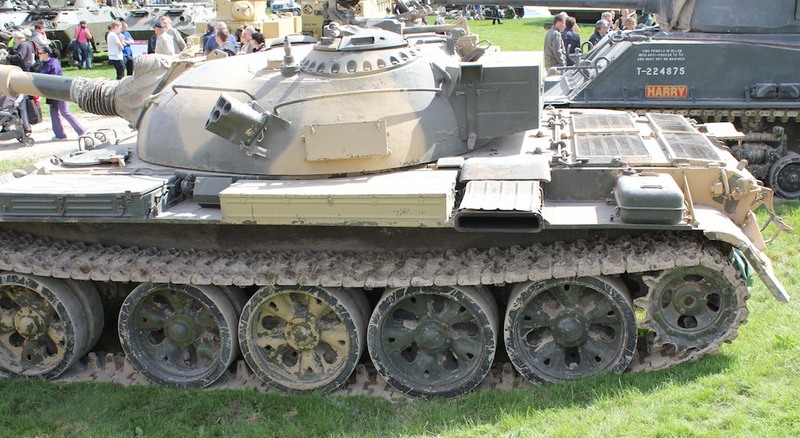 Above the the main gun, there is a Sagger anti-tank, wire guided missile. 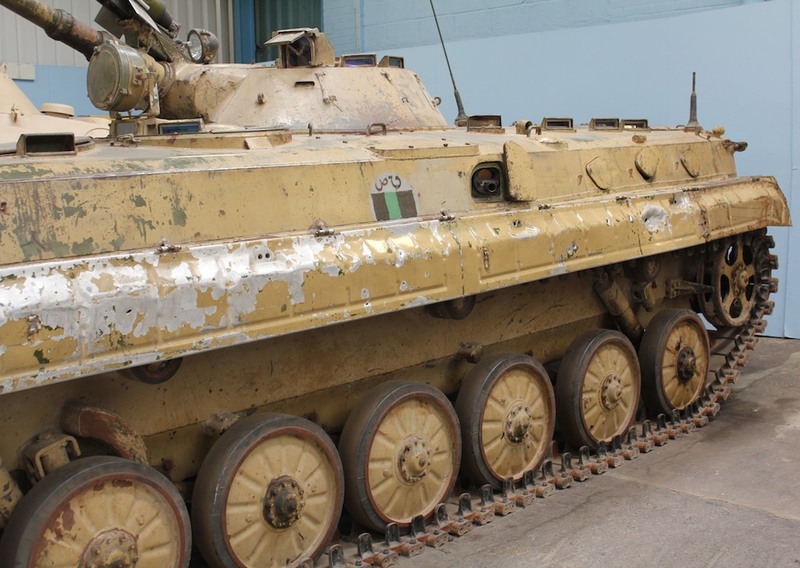 When the Israelis first came across the sagger missile, packed in a large suit-case type container, and set up on the ground, they destroyed their tanks with devastating effect. 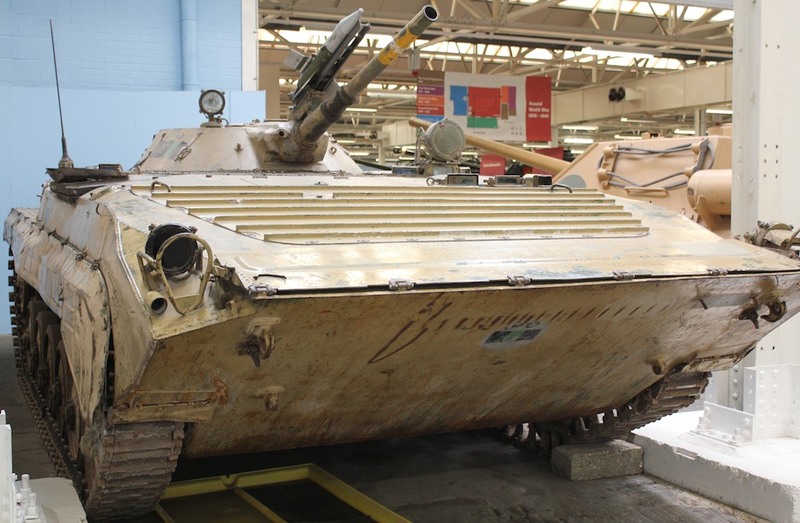 This can claim the mantle of being the first ever mechanised infantry combat vehicle. 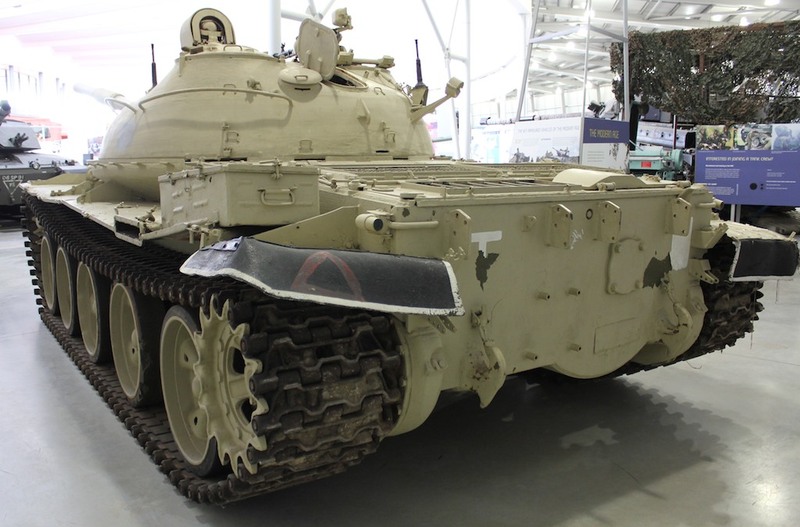 The west followed later with vehicles such as the Warrior and the American M2 Bradley. 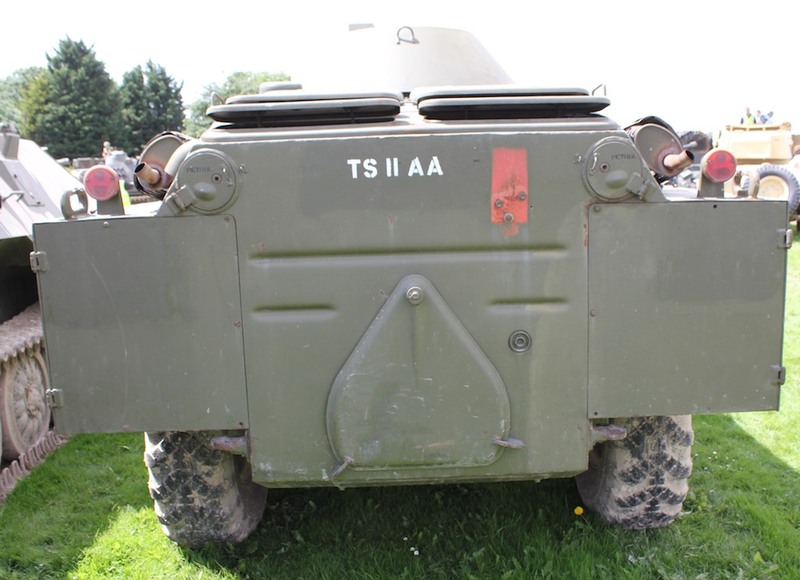 The Soviet soldiers would exit via the two rear doors. 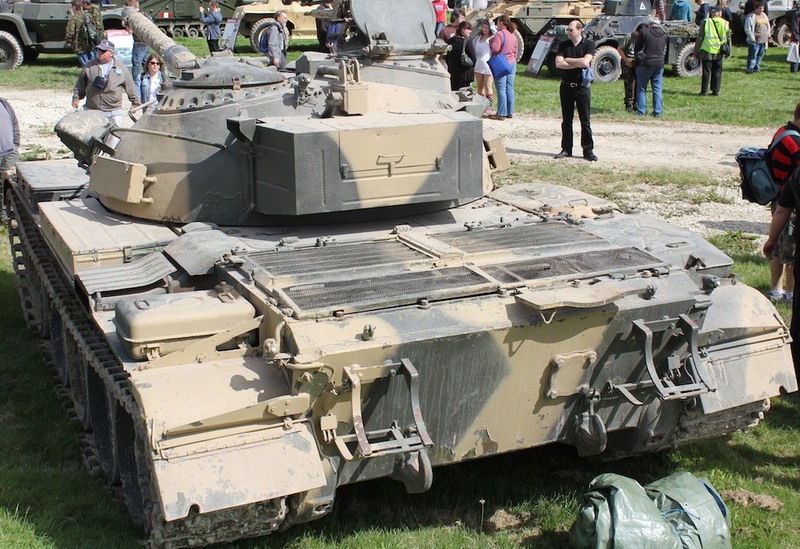 It weighed 13.5 tons and had armour 23mm thick. They could also exit through four hatches in the roof. 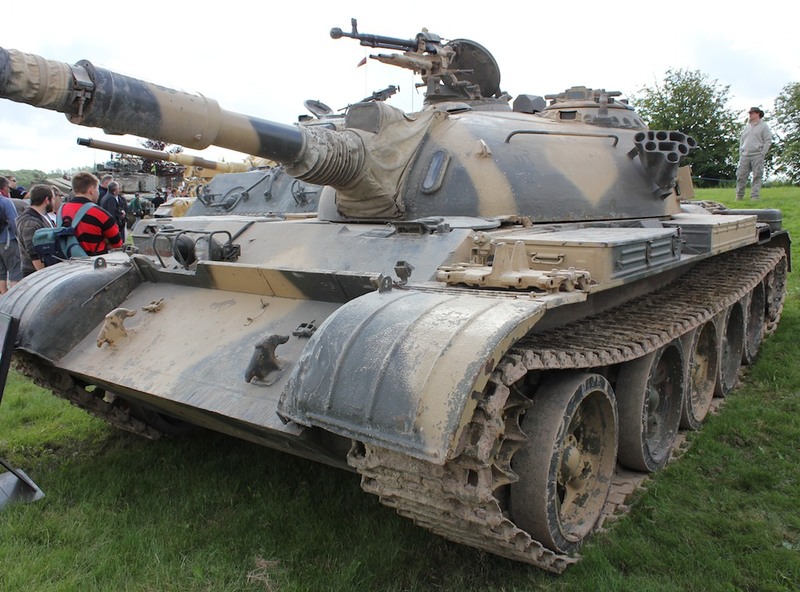 The hollow doors also acted as fuel tanks, meaning a hit from behind would have a devastating effect. 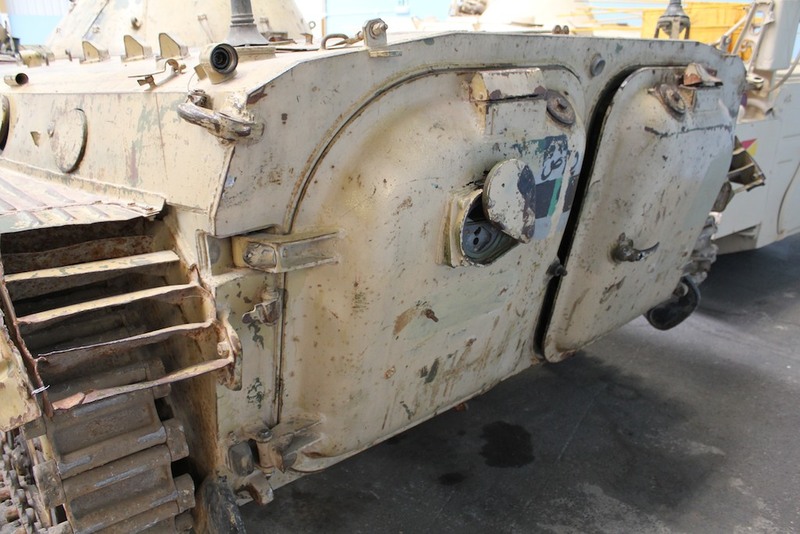 The internal fuel tank was located between the benches in the rear, putting the soldiers at risk. 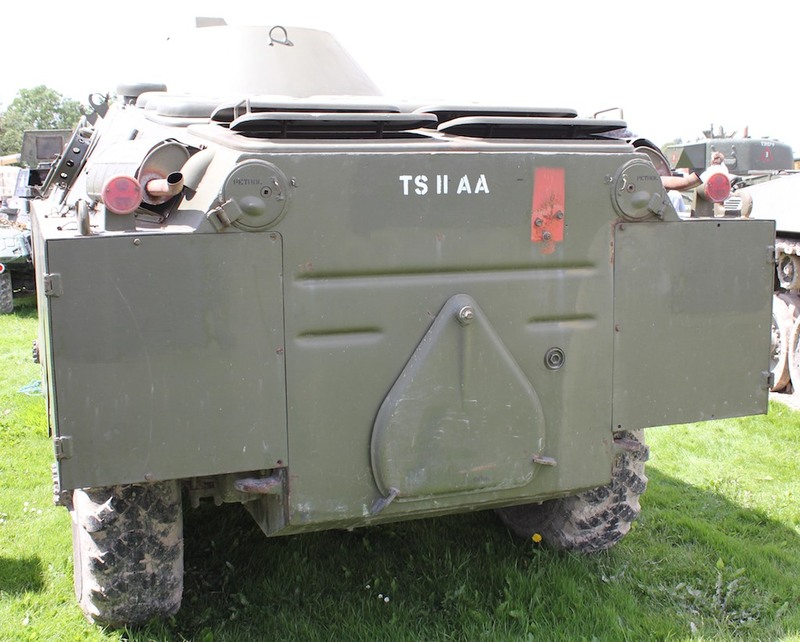 It was also amphibious, driven through the water by the movement of the tracks, hence the vanes at the rear. 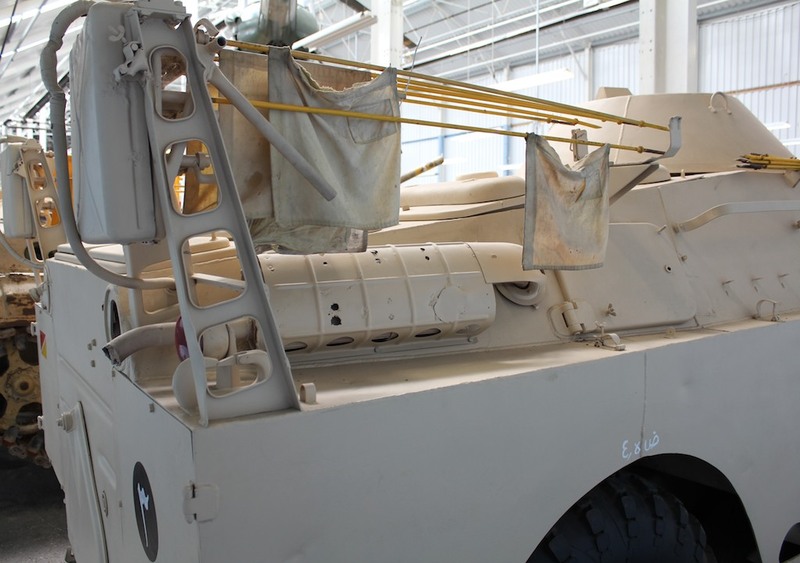 Although very cramped due to its low profile, it could carry eight soldiers in the troop compartment. 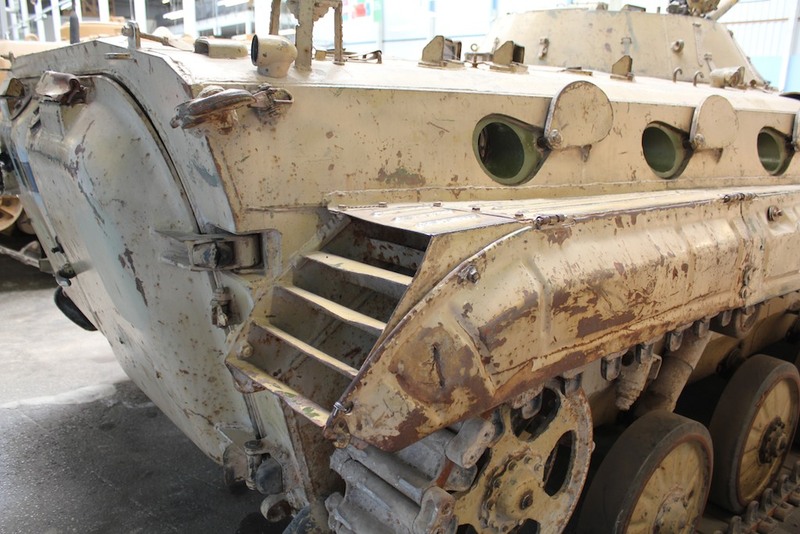 Four ports either side allowed the soldiers to fire from within the vehicle. 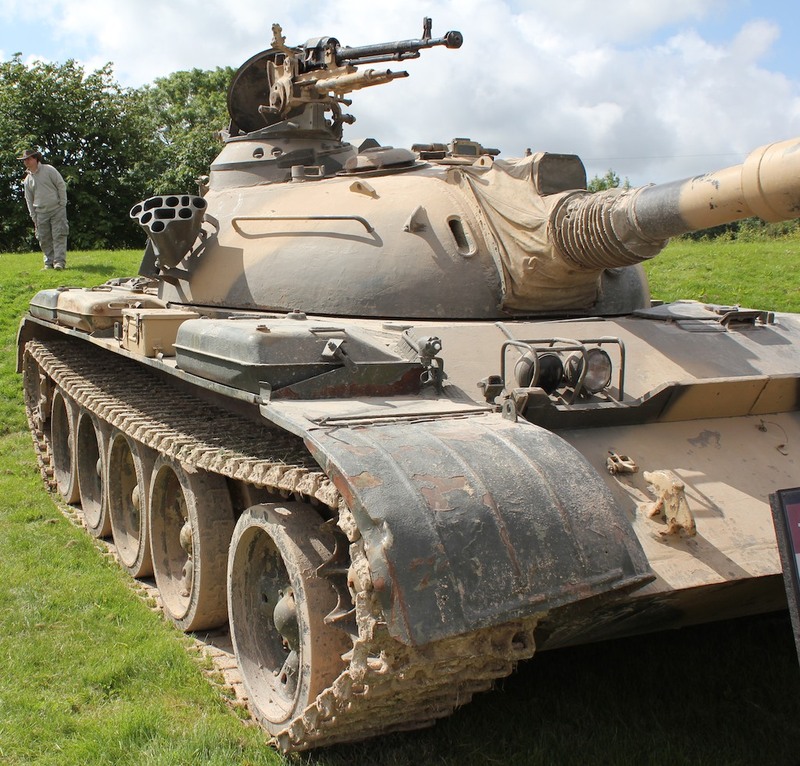 The 73mm main gun, was a low-pressure, semi-automatic smooth-bore gun. It could travel up to a speed of 40mph. 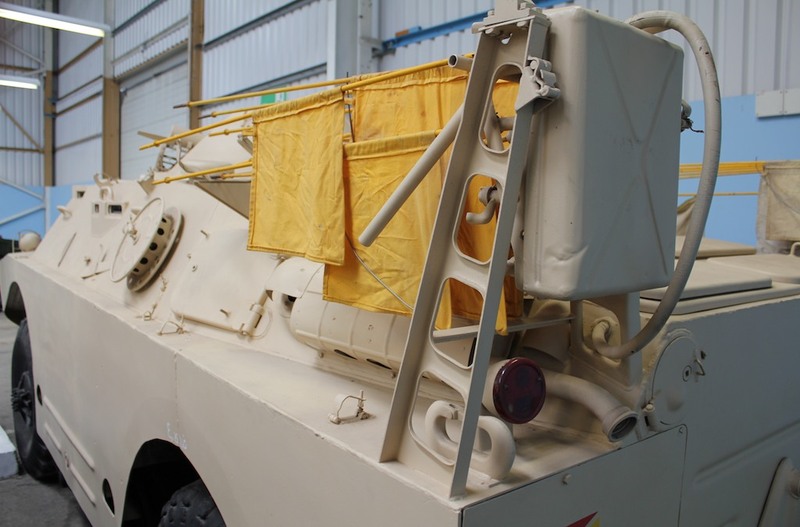 It also had a radiation-shielded interior, allowing it to fight in contaminated areas. 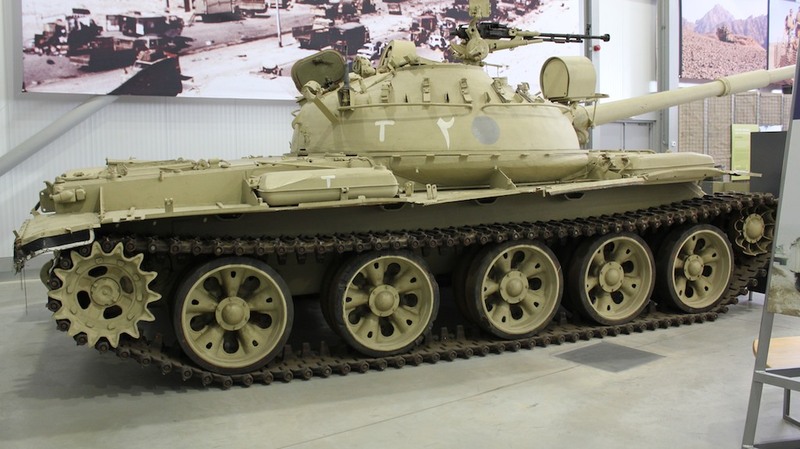 The Soviet military saw future wars being conducted using nuclear, biological and nuclear weapons. 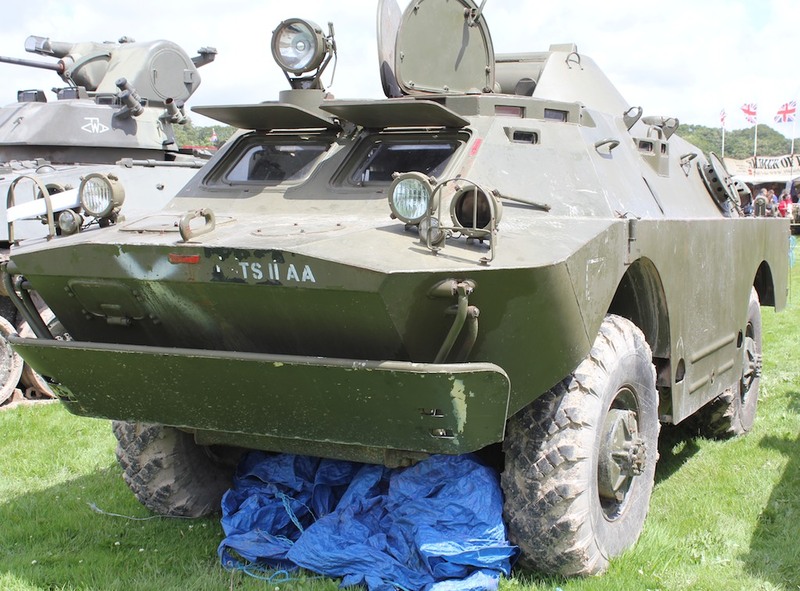 The Soviet BRDM-2. 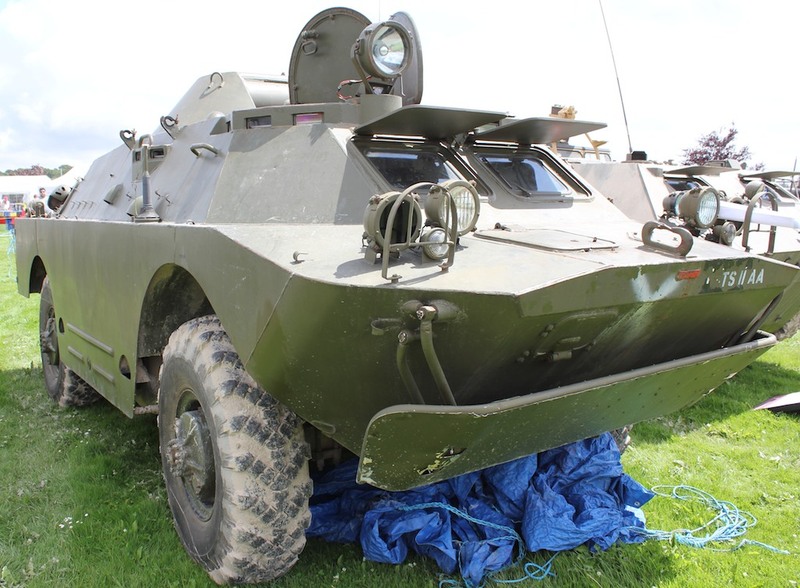 Although primarily a traditional reconnaissance vehicle, also had other roles. 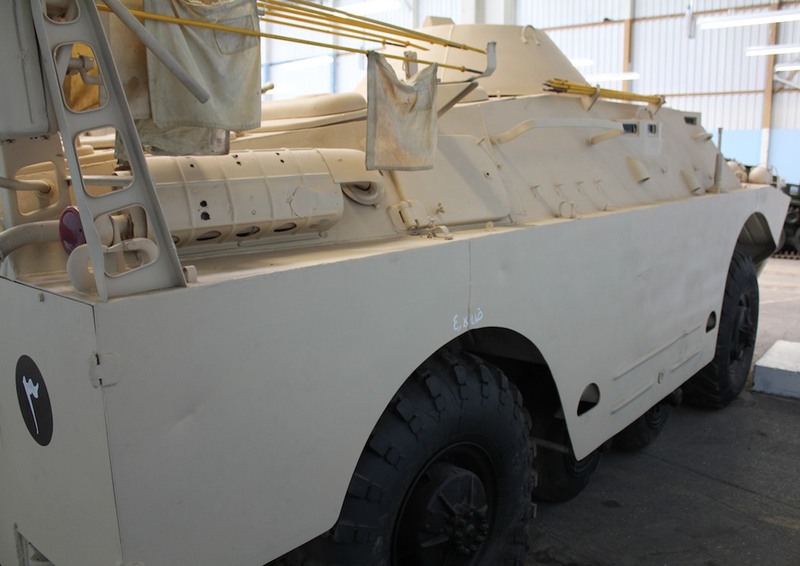 This version of the BRDM-2, another vehicle captured from the Iraqi forces, is a chemical reconnaissance vehicle. 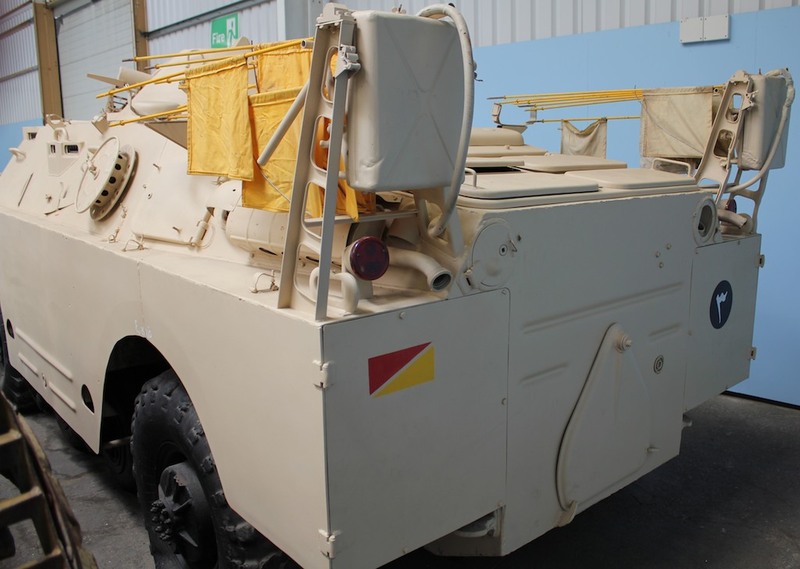 Equipped to locate areas of the battlefield contaminated with nuclear, biological or chemical weapons and mark a safe passage for advancing forces. The safe route was identified by firing the yellow flags into the ground as it moved through the area. 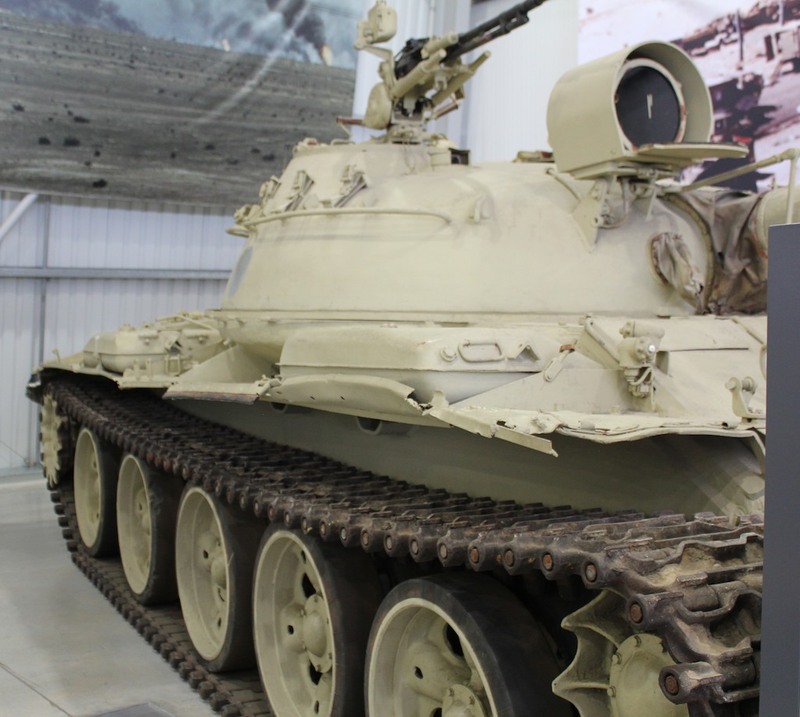 Nuclear, chemical and biological weapons were a key part of the Soviet arsenal. Causes severe skin, eye and mucosal pain. Breathed in and the effects would be far worse, causing major damage to the lungs. 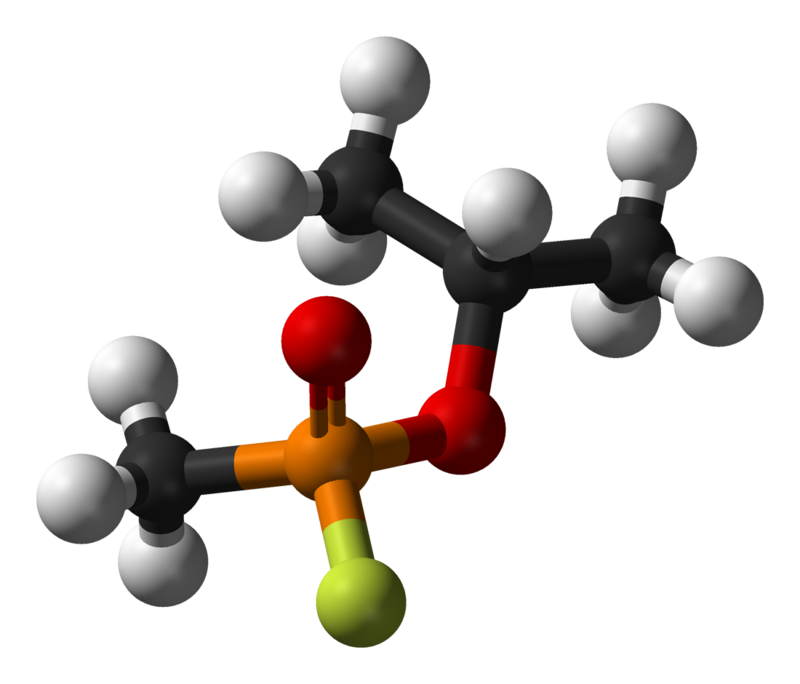 Sarin – Disrupts the mechanism by which nerves transfer messages to vital organs. Contraction of the pupils, profuse salivation, involuntary urination and deification and eventual death by asphyxiation. Works at the cellular level by preventing the exchange of oxygen and carbon dioxide between the blood and the body’s cells. Cells suffocate from lack of oxygen. 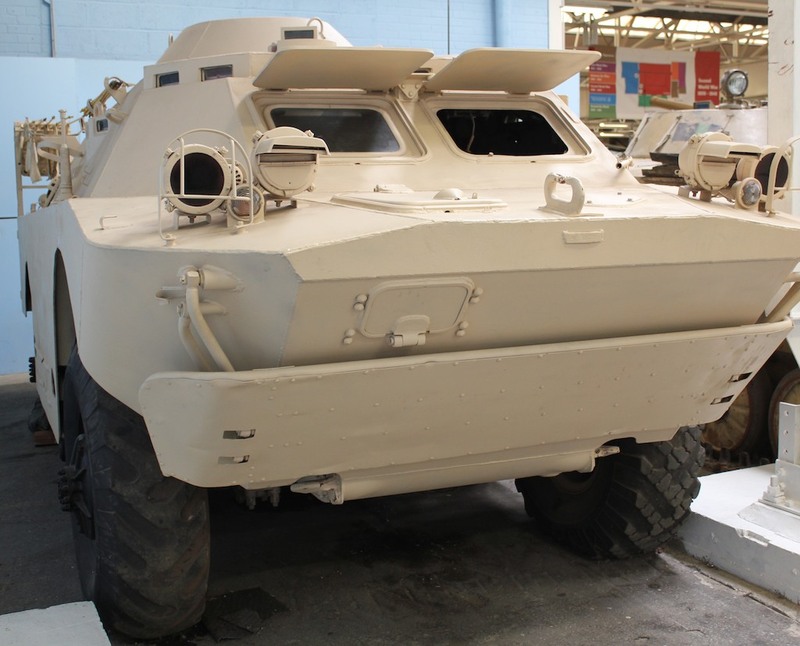 Much larger than the ideal reconnaissance vehicle, but the size was necessary as a consequence of it needing to be amphibious. 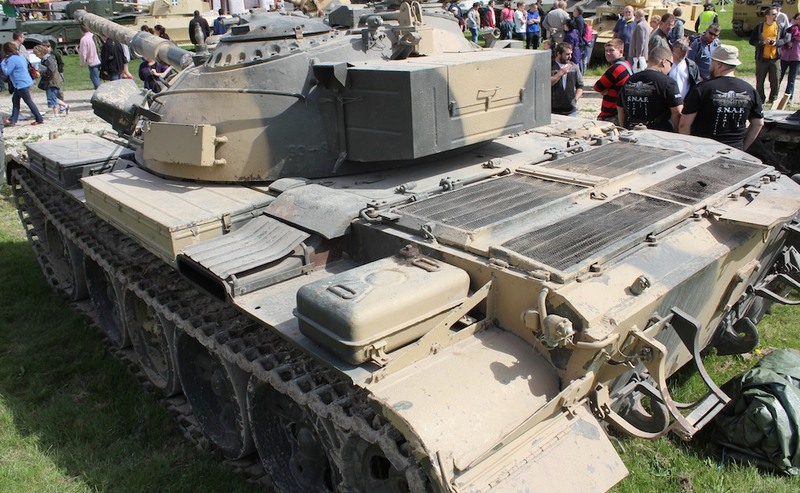 In fact it is twice the size of a British Ferret reconnaissance vehicle. 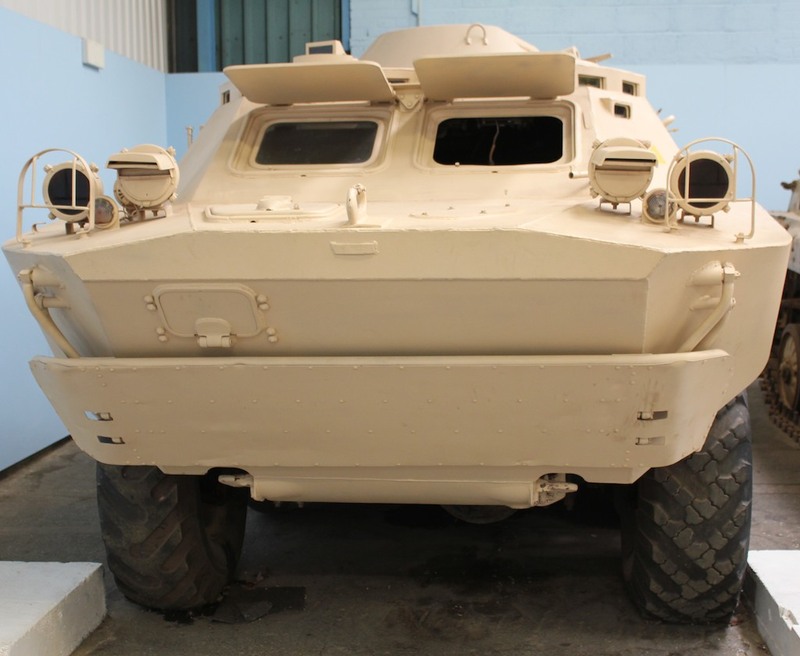 Powered by a Gaz V8 petrol engine. The engine also provides power for the ducted water jet that it uses when swimming. 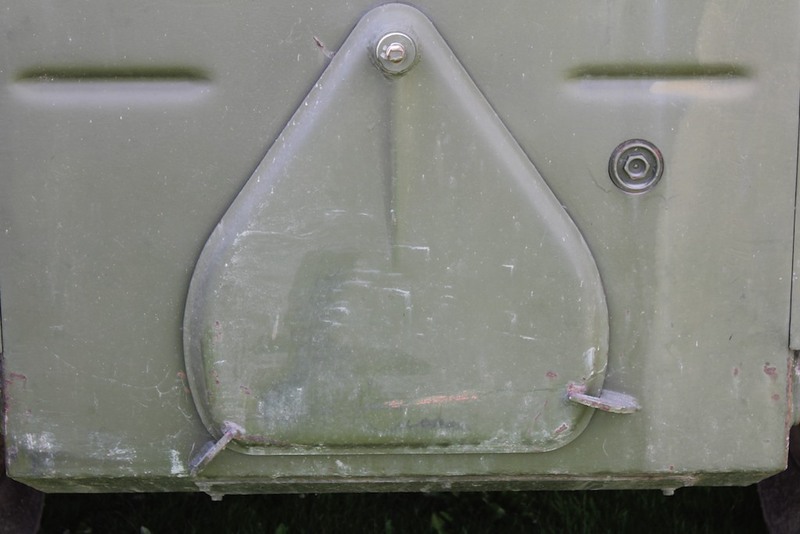 The flap at the back pivots sideways allowing the jet to push the vehicle through the water. 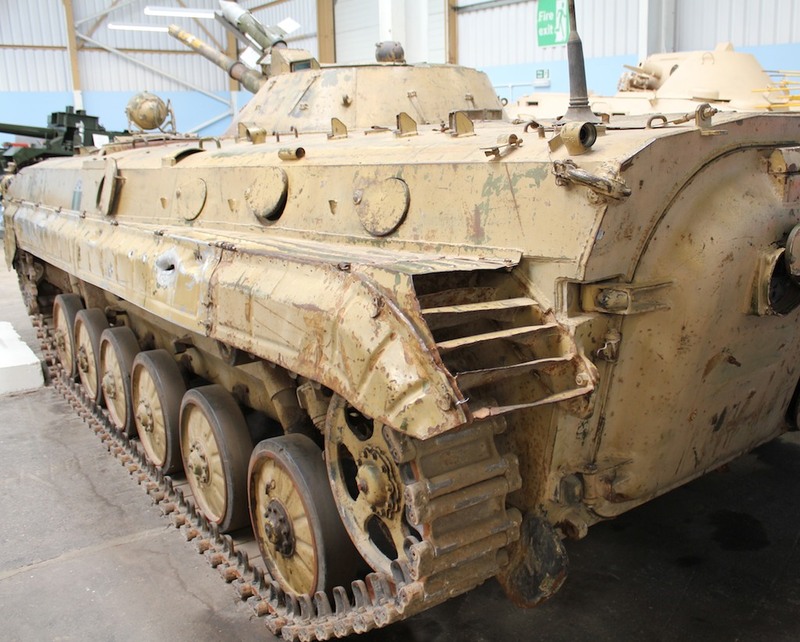 Top speed of 60mph, a 14.5mm gun in the turret and a crew of 4. ‘The Red Effect’ by Harvey Black – Kindle and Paperback versions available now. The Cold War that became a Hot War. ← The Red Effect. The Cold War heats up. Part 1.